Welcome to E’lan Lashes. We’re excited for you to be part of our family and network of professionals! Whether you are new to the industry or a seasoned professional, we are delighted to bring you the best eyelash extension products and training to increase your salon revenue and clientele. 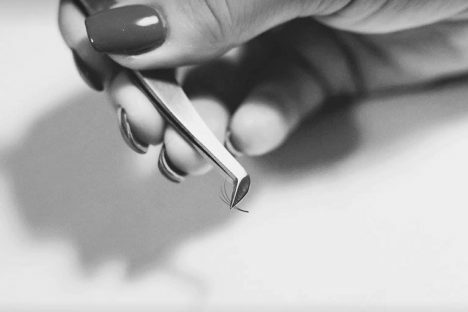 As a well-established eyelash manufacturer and educator, E’lan Lashes takes pride in providing a superior eyelash extension product based on years of extensive research and analysis. As part of the E’lan family, you’ll receive over a decade of experience with curriculum that is published in the Milady’s Advanced esthetic textbook, and a wide range of eyelash extension training, starting from the basics to the most advanced techniques in both Classic and Volume eyelash extensions. We are thrilled to welcome you to the family. Take a look around and make yourself at home. If there is something you are looking for that we don’t have, let us know and we will do our best to get it for you. E’lan Lashes is nationally recognized for providing the highest quality professional eyelash extension products and training. We have trained thousands of Cosmetologists and Estheticians since we began our journey in 2005. We also have programs developed specifically for cosmetology school instructors that allow them to train their students and Alumni. We offer the most comprehensive eyelash extension training in the industry. 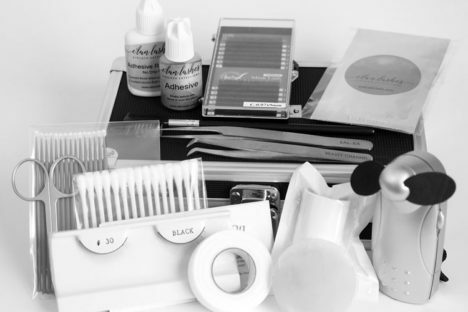 Our products and Eyelash Extension kits offer you everything you need to get started as a top eyelash extension professional. We offer certification training classes throughout the USA. Our class sizes are small at no more than six students per instructor or you can choose on location training with a minimum of four students per class. In order to ensure that students are prepared to compete in today’s competitive job market, cosmetology schools should always be looking for opportunities to expand their curriculum and produce more well-rounded graduates. In the fall of 2008, we were fortunate enough to be introduced to Anne Miller and E’lan Lashes. Her professional eyelash extension certification program was ideal because it catered to the needs of cosmetology schools. Most manufacturers insist on keeping training internal where students are charged upwards of $1000 for training and certification. Outsourcing classes in this fashion is expensive and unrealistic for a school. When we found out that E’lan Lashes would train our instructors and allow them to certify our students, we knew we had found something great! For a very reasonable price, Anne came out and spent a few days training our instructors. After the staff completed the classes and performed a series of satisfactory lash applications, we were ready to begin training our students. 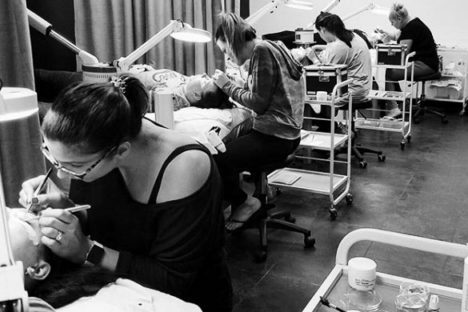 For the first few months, the eyelash certification was an optional element of our curriculum. We charged students a few hundred dollars (to cover the cost of the kit) and offered the training to them at no cost. It was a huge hit. The majority of students wanted to be certified and we sent dozens of students through the classes in a matter of weeks. Before we knew it, we had a waiting list for clients to come in and pay $75 for longer lashes! Eyelashes quickly became our most profitable service. 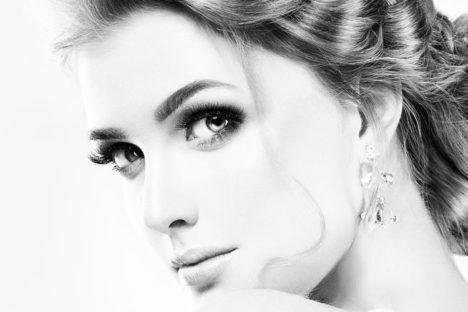 Hour for hour, no other service generates as much revenue as our eyelash extensions. And they keep coming back every month for fills! Today, the E’lan Lash Eyelash Extension Certification is included in our esthetic’s curriculum and we are considering incorporating it into our cosmetology program as well. We didn’t even have to raise the price of our tuition because the kits are so affordable. It has helped differentiate our curriculum from neighboring schools, increased enrollment, and added a new level of employability to our graduates. We continue to be amazed at how many of our graduates go on to work exclusively in eyelash extensions! Anne Miller and E’lan Lashes Eyelash Extensions are highly recommended for any cosmetology school that’s serious about education!